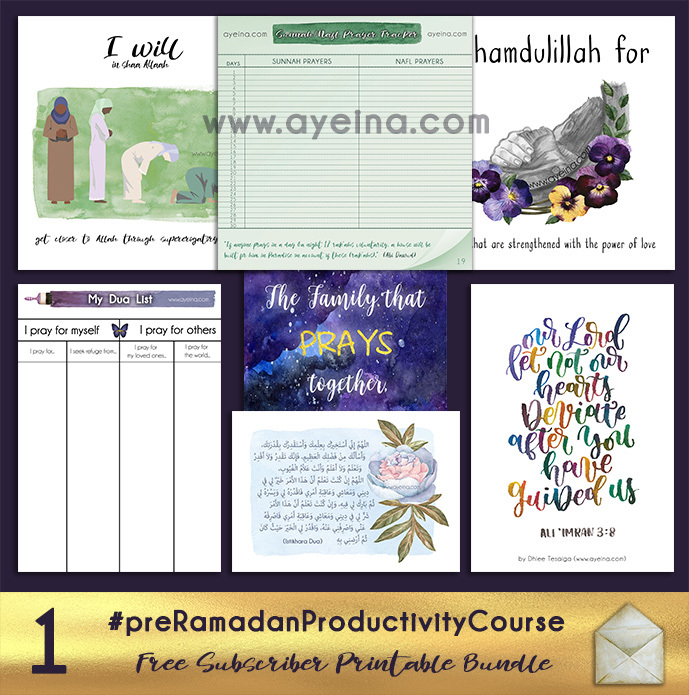 We started this 7 month Pre-Ramadan Productivity Course in the start of October (And if you will be reading this afterwards, this is where you start in shaa Allah as a detailed guide/course on the PRODUCTIVITY JOURNAL FOR MUSLIMS – although you can choose any topic in any month or week, this is simply how we did it and we hope that it helps make things more clear and doable in shaa Allah). In October 2017, We picked Prayer Tracker (to help track the prayers on whether we are praying on time, praying late or not praying at all), Declutter Plan (to help us subtract the unnecessary things in our lives – tangibly and intangibly – to achieve better focus), Relationship Goals (to improve relationships that we need to work on) and Dua Diary (to define our achievable dreams, make dua for them and do istikhara for whatever actionable steps there are to help us reach those goals). The reason we are doing it all publicly with YOU is because we are struggling as much as you are in this life and this will help us stay accountable if we lose the motivation somewhere in the middle! Also, we want to enter Ramadan as a better Muslim and experience the blessed month on a whole new level in shaa Allah. Honestly speaking, we didn’t realise how many prayers we were not praying at an ahsan time until we saw red marks on our tracker. (P.S. late prayer does not mean praying after the time has passed – THIS POST will clarify the definition of it in shaa Allah). Green mark for praying on time, Red mark for praying within the time limit (but late) and a Black mark for not praying or praying after the time passes. In our busy lifestyles, sometimes we forget to put Allah first even though we don’t necessarily mean to do so, but responsibilities pile up one above the other and it starts to take precedence in our lives without us even realizing it. Then gradually, we lose the peace and we feel constantly overwhelmed. Does that happen to you? As mothers who are studying and running this website while homeschooling our children, the mind clutter doesn’t seem to take rest. It constantly clouds our head and we ourselves were in dire need of this productivity journal to be honest! Anyways, we didn’t quite do well in the mental decluttering section but we did manage to consume less! (Couldn’t manage to “do” less though). Consuming less have had amazing benefits of whatever we were doing, we were able to do with better focus Alhamdulillah. The physical decluttering was a big success (minus the books that we just couldn’t take out 🙈 *book obsessed people here*) – The less the things we own, the less mess we have to deal with 💪 and that’s a serious win as a mother lol Alhamdulillah. The challenge was to simply take out things that you don’t use anymore. Things that only take space in your home but don’t serve you in any way so they don’t constantly consume your mind unnecessarily in shaa Allah because after a certain point, material objects have a tendency to crowd out the emotional needs they are meant to support. If you haven’t started, let’s try a simple rule: Give away the clothes you haven’t worn for months, the make up you haven’t used for ages (probably it’s expired by now *guilty*), the shoes that are catching dust, the toys that your child keeps throwing around but never actually plays with, the items you keep holding onto unnecessarily etc. etc. Physical clutter in your surroundings competes for your attention, resulting in decreased performance and increased stress. All that time spent dealing with our belongings can overload our senses, impairing our ability to focus and think. And for a believer, reflection is a huge part of life! But once done, you will feel free. Free from the things that consumed your life unnecessarily. You will have time for more important things – for eg: your relationships! Which brought us to the 3rd challenge of the month! 1) Determine Which Relationships You’d Like to Work on! We asked you to choose any relationship you’d like to work on! Parents, siblings or even friends! 2) Determine How to Work on Those Relationships! The strategy that worked best for us – was *expression of love*. As the hadith stated in the journal exercise highlights as well! So what does it mean to love the other person for Allah’s sake? It means you make the love and obedience of Allah the basis and focus of your relationship with someone else. Allah has put love between the blood bonds naturally, but sometimes hurdles can come in the way and in that scenario, loving without expectations is what loving for the sake of Allah means. (In shaa Allah we will discuss about “forgiving without a grudge and giving without expectations” in the third month (December) in detail). When the root of your relationship is built on such strength and when you are constantly giving love only – eventually it becomes a two sided love too 💞 after which, you can focus on your own dreams more as you gain the support of your loved ones – which is crucial in terms of growth! This section was all about defining ones goals and dreams with the power of istikhara, dua and mind decluttering. 1) Define Your Goals & Dreams! Ask yourself: “what dreams would I achieve if I had only few years to live?” (What is it that I will be doing day in and day out if I knew I had only few moments left on this earth?). If you are still unable to define what you exactly want to achieve in this life, try shortening the period of your life! What if I had 5 years to live? What if I had 2 years to live? What if I had 5 months to live? What if I had 2 weeks to live? Asking yourself this question by shortening your time frame will really help you define what is it that you truly want in life! In shaa Allah! 2) Take Action towards Your Goals & Dreams! 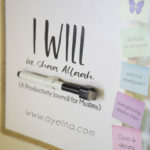 A) by making a DUA with full conviction, for what you want to achieve – day in and day out! Making dua as if you can see them happening right in front of your eyes. The passion you have in your dua just doubles due to this perspective! And you are automatically motivated to work on the actionable steps as well instead of just sitting and making dua! B) by doing ISTIKHARA for the steps you can take to reach your goal in shaa Allah. If you think you have improved your fard prayers (1st challenge of the month), now is the time to work on your sunnah/nafl prayers in shaa Allah. (While we were working on the tracker, we saw so many people include tahajjud in their tracker too so fastabiqul khairaat ❤). 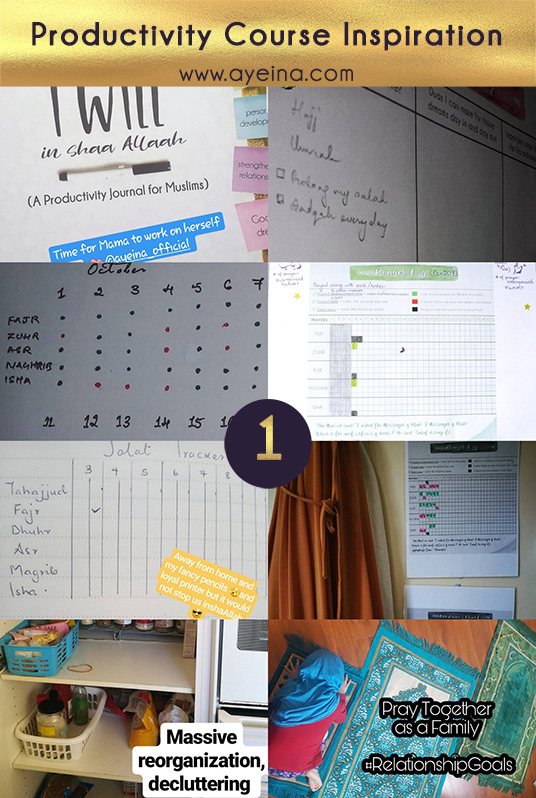 1 – Sunnah/Nafl Prayer Tracker (to help you build a habit before Ramadan in shaa Allah to incorporate sunnahs and nawaafil in your life one by one – start slow and then take it step by step). 3 – watercolor floral Istikhara Dua (if you may like to display it in your home to help your memorization process). 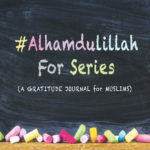 4 – a colorful Hand Lettered Verse (a beautiful dua from Surah Al-Imran by Dhiee Tesaiga) so you are determined to finish this course even when it gets scary at times when you start doubting yourself and your progress. 6 – “A Family that PRAYS together, STAYS together” poster as a part of our (3rd week) ‘Relationship Goals’ challenge to boost love in relationships for the sake of Allah. 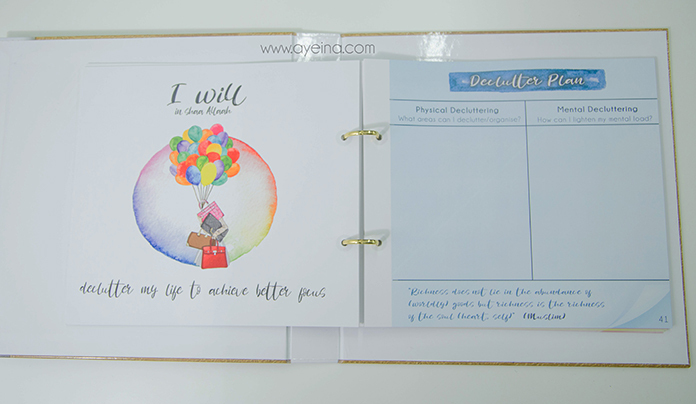 The reason that we were so adamant on making this journal a whiteboard BINDER journal was so you can customize it as much as you can – according to your own needs. So if you have the binder, you can simply print this bonus challenge, punch it and put it in the binder ring as well. 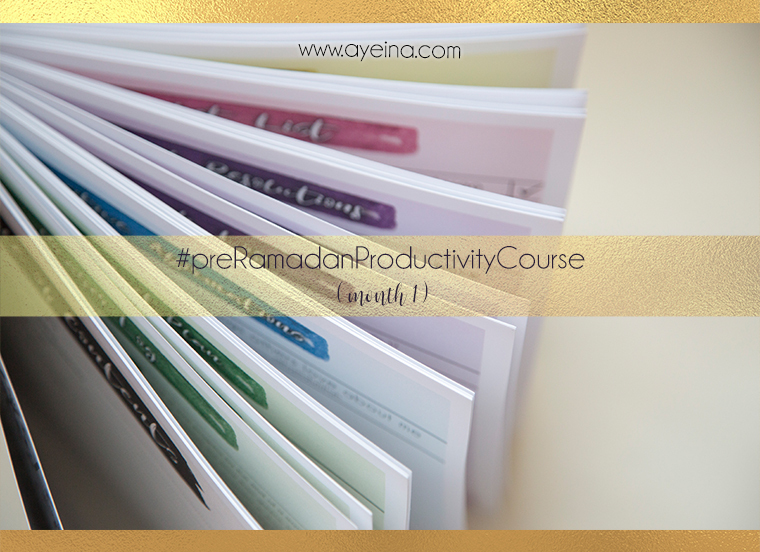 You can also rearrange the pages if you’d like – according to what you’d like to work on first in shaa Allah. I’ve been seeing your posts on Instagram abour this. And it’s wonderful that we do it all together as you guide us on each categories. We’re in the middle of some family matters now so I’ll be catching up quickly soon. This looks fantastic! We can all use some work on all these sections. Mashallah! Love it all! This is all right up my street Allahumabarik. 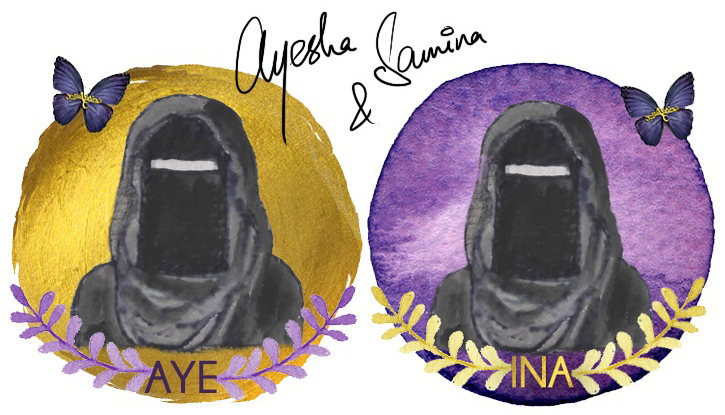 May allah continue to bless you both, ameen. Ps: I did the gratitude challenge you guys posted about recently. I twisted it slightly for my hubby and did 10 things I love about you- he loved it! Thanks for all the great tips! May Allah reward you immensely. Ameen! Masha Allah that’s awesome. This is what we love, different people adding their own twists and turns to the basic theme and fitting it as per their needs. Loved your idea! I’m in the middle of decluttering my life of mental and physical clutter! It is so darn difficult! 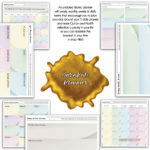 Your tracker and post have made it easier for me and gave me actionable tips on what to work on. Jazak’Allah khair! I feel you!!! It is very difficult to work on decluttering, be it mental or physical. Alhamdulillah! So happy that it was helpful. Take baby steps to reach your huge goal! In sha Allah you will win!!! !